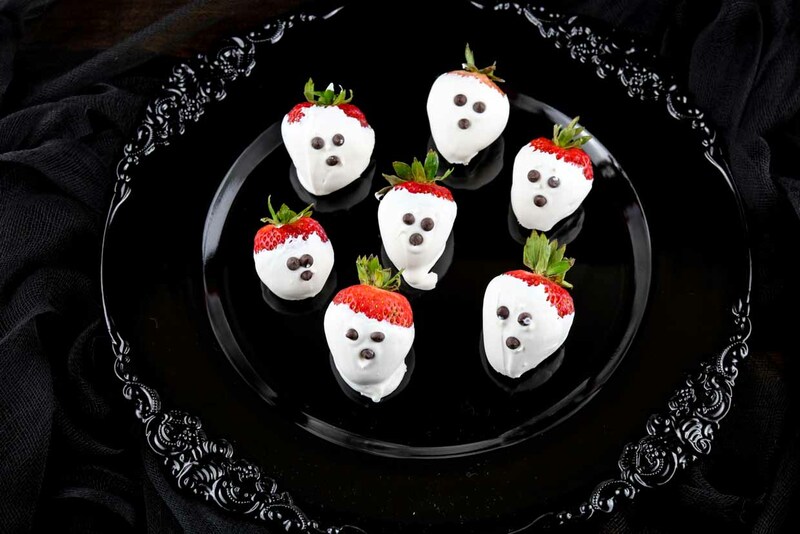 These chocolate covered strawberry ghosts bring fresh fruit to the table but also chocolate, so it’s a win win for parents, right?! 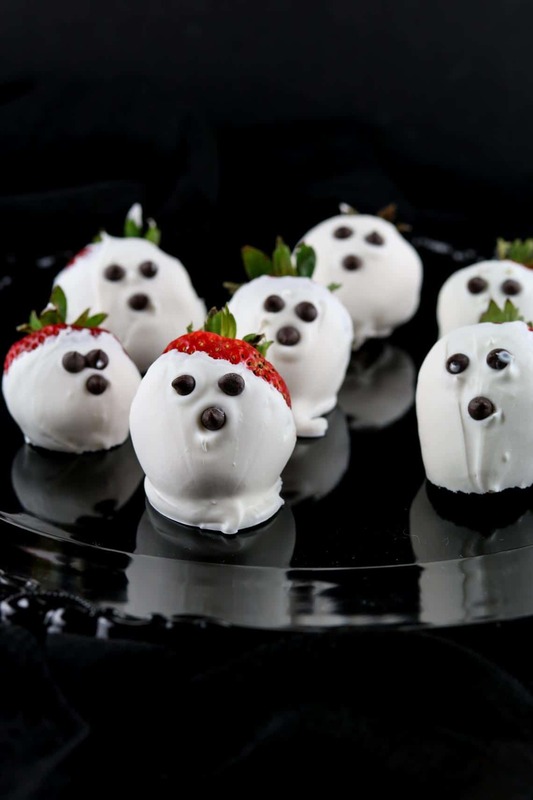 I will preface this recipe with the fact that the white chocolate chips used to dip these strawberries are not refined-sugar free or dairy-free, and I wasn’t comfortable enough to label them as gluten-free. They are, of course, nut-free. But, while these aren’t the most Paleo/Primal friendly Halloween treat, I still felt like it was a good balance with the fresh fruit. Because life’s all about balance, right? 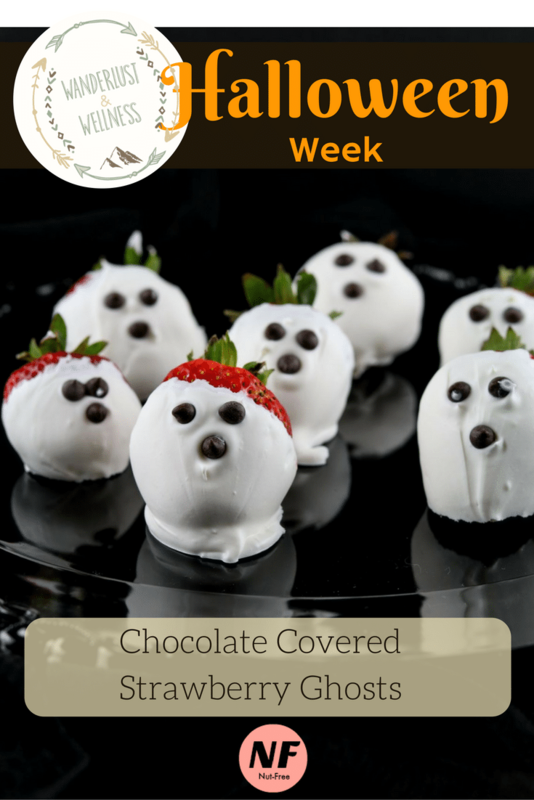 For these chocolate covered strawberry ghosts, I used Ghirardelli Classic White Chips. My normal brand of baking chocolate chips, Enjoy Life, does not carry a white option so I switched to Ghirardelli. Fresh strawberry season is winding down in my area, however, I was still able to find some decent fresh strawberries at the market. These would be a great treat for both the kids and adults, I mean who doesn’t like chocolate covered strawberries?!? Melt the classic white chips according to package directions. Once melted, hand dip each strawberry and place onto a lined baking sheet. 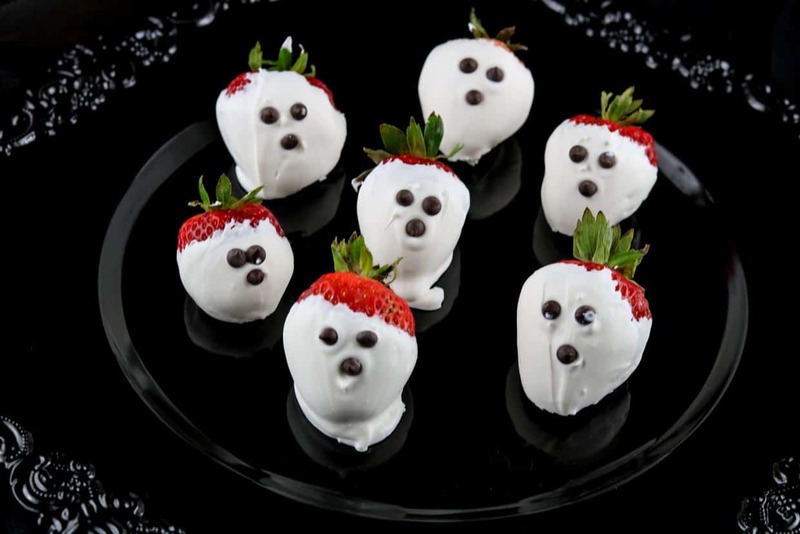 While white chocolate is still wet, place mini chips onto strawberry for the eyes and nose. Place strawberries in refrigerator until ready to serve.